R.S. Thomas's presentation of God has given rise to controversy and dissent. 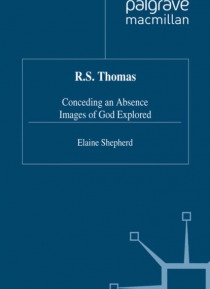 Exploring Thomas's techniques of creating his images of God, Elaine Shepherd addresses the problems surrounding the language of religion and of religious poetry. Refusing to limit herself to conventionally religious poems, and drawing on material from the earliest work to Counterpoint and beyond, she identifies the challe… nges with which Thomas confronts his readers. The sequence of close readings engages the reader in an exploration of language and image: from the image of woman as constructed by the Impressionist to the non-image of the mystical theologian.